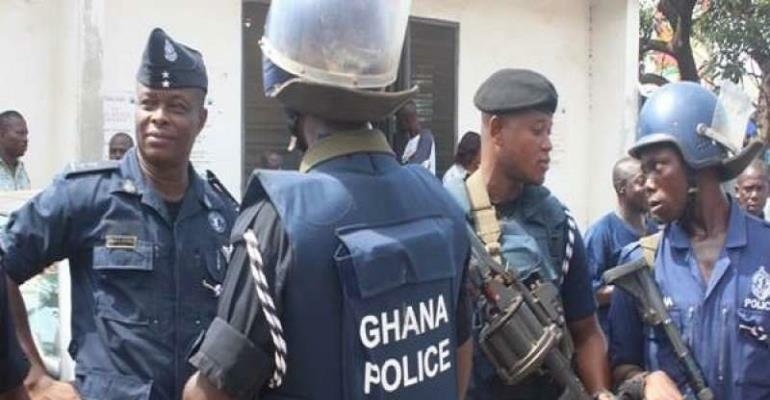 The Ghana Police Service has said it has, so far, arrested nine people in connection with the Forex Bureau and Money Transfer robberies in Accra. Additionally, two people are in custody in respect of the Industrial Area Robbery that occurred at Kaneshie this morning and are assisting the Police in their investigations. This was disclosed in a statement signed by Assistant Commissioner of Police, Mr David Eklu, the Director-General of Public Affairs, and copied to the Ghana News Agency on Tuesday. It said the Service had taken note of public anxiety over the incidents of robbery around the capital over the last 10 days and gave the assurance that the Police is at the heels of these criminals, whiles deploying men and resources to protect lives and property. The statement said discussions were ongoing with the Bank of Ghana and Mobile Money operators to identify better ways of enhancing security of their businesses and that patrols had been intensified in areas identified as robbery prone. It reminded the public that the Police emergency lines are active and any person with information may call the Police on 191 (all networks) or 18555 (MTN and Vodafone).